La contea di Gove in inglese Gove County (codice contea GO) è una contea dello Stato del Kansas, negli Stati Uniti. La popolazione al censimento del 2010 era di 2695 abitanti. Il capoluogo di contea è Gove City. 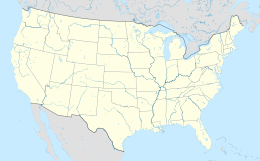 Secondo lo United States Census Bureau, la contea ha una superficie di 2.776 km2(99,99 %). Gove County is divided into nine townships. None of the cities within the county are considered governmentally independent, and all figures for the townships include those of the cities. In the following table, the population center is the largest city (or cities) included in that township's population total, if it is of a significant size.